Celebrate Shanghai Culinary Arts ! 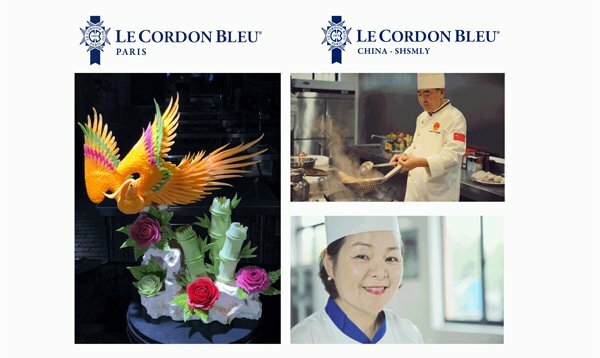 Le Cordon Bleu Paris, authentic ambassador serving of the gastronomic cultures from around the world, welcomes a Shanghai delegation from October 17 to 24 to share the cultural and gastronomic heritage of the Shanghai region through demonstrations and animations. Chefs Ren Defeng, Xu Jaije, Zhang Guifang and An Binn will present the most iconic dishes of Southeast Chinese cuisine, one of eight regional cuisines from China. Le Cordon Bleu is delighted to invite you to attend one of the culinary demonstrations orchestrated by the chefs.